Description about eBook : Bodhicharyavtar is a world famous Buddhist scripture. It is originally composed in Sanskrit. This book has been translated and published in many countries and languages of the world. Many titles of this text have also been published in different languages. 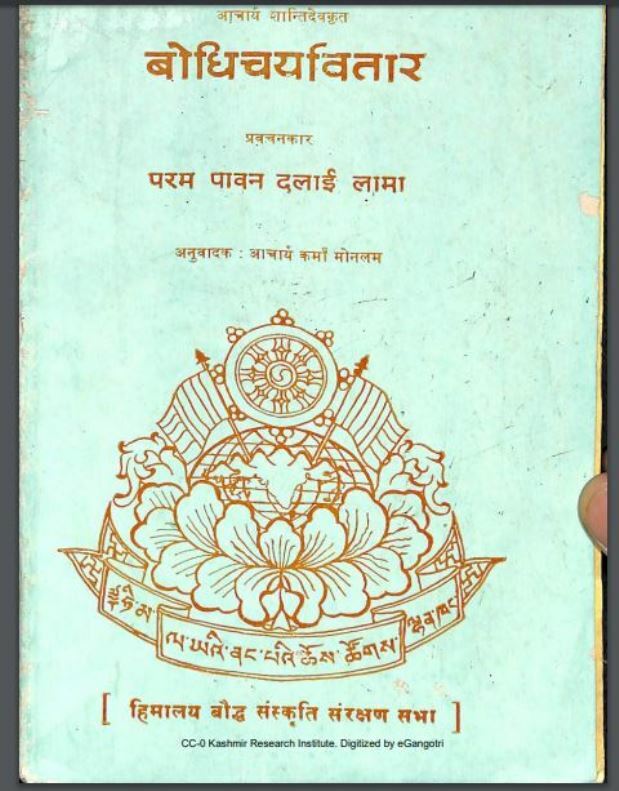 In the year 1981, His Holiness the Dalai Lama Ji gave a detailed discourse on this religious text in Manali (H.P. )……………….